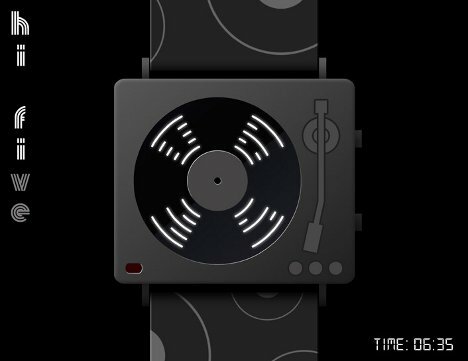 The Hi-Five LED watch takes the beloved aesthetic of the vinyl record and turns it into a functional timepiece. The conceptual watch was thought up by Australian designer Lloyd and submitted to the watch enthusiast community at TokyoFlash. 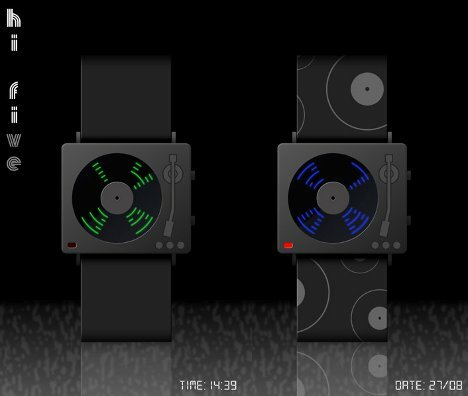 The watch’s face takes the shape of an old-school record player (or hi-fi, get it?). Four digits are displayed on the “record,” looking like light reflections on the record’s surface. When displaying the date rather than the time, a red light in the lower left corner of the watch lights up. If ever put into production, the watch would be available with a number of different bands and different colored LEDs for the display. 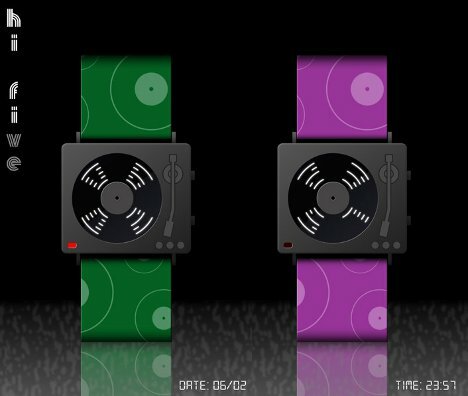 Carrying on the music theme, the Hi-Five also includes an integrated MP3 player. The device (both the battery and the music library) is rechargeable via USB. 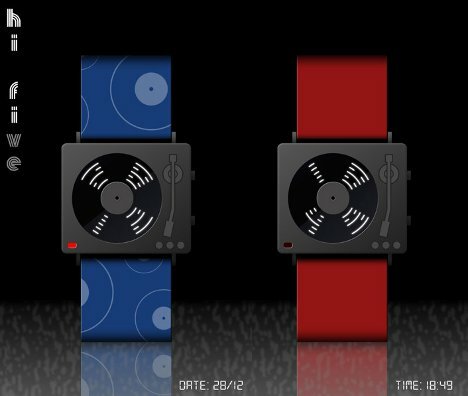 Although it is just a concept, the Hi-Five watch has received plenty of support from the TokyoFlash community. See more in Clocks & Watches or under Gadgets. June, 2012.